beautiful gift cards with photos from summer 2015 on SmugMug and stock up on Coppercreek gear for gifts this holiday season. Coppercreek happy thoughts journals, photos, mugs, or sweatshirts are the perfect holiday gifts for all the campers on your list! For those families who are participating in Giving Tuesday, please consider a contribution to The Coppercreek Camp Memorial Fund. ALL proceeds are used to provide camp scholarships to children who would not otherwise have the opportunity to experience Coppercreek. Donations of over $300 will receive a special gift from us. As we approach this special time of the year, we remember John, Lynne and Lauren and their amazing contributions to children through Coppercreek Camp. During December we will be focusing on our Memorial Fund. Find blog posts from previous scholarship recepients each week. Click here to read more and donate! Click here to donate now through PayPal! It has been 10 long years since we said, “Goodbye.” Amy Murray wrote about her special relationship with “Papa John” last year and here it is again because it is beautiful. My relationship with Papa was one of moments, tiny, shiny, round globes of time that snuck up on me, so that I didn’t even know how much I loved him until, in the blink of an eye, I did. That is the roundest, shiniest marble of all, the one I pull out when things get dark, running the pad of my thumb over it’s blue-ness. Words For Wednesday by Eli! My hands are always dirty! I’ve washed and washed and scrubbed and scrubbed but my hands are still dirty! My fingernails are black from the dirt in the cracks, I put soap on my hands, and smack! And yet my fingernails are still black. Let’s not get started on my face, coated in sand and dirt, the smell of smoke from campfire. I know I need to shower, but darn it! I’m so tired! If they could scream they would yell “HELP!” through Becky’s broken walkie talkie. With all the sweaty, stinky, disgusting dirty clothes. Soon I’m on fishing with power bait and glitter. You telling me a man can’t look pretty with sparkly spirit fingers?! I find myself still with dirty hands sitting now on my fanny. Maybe it’s useless, maybe it’s time to call it quits. Maybe I should stop fighting the dirt and accept it for what it is. For everyone has a little dirt in their hands that may never go away. We ALL have that something that eats at us every day. But here at camp it is more than singing songs and playing fun games. 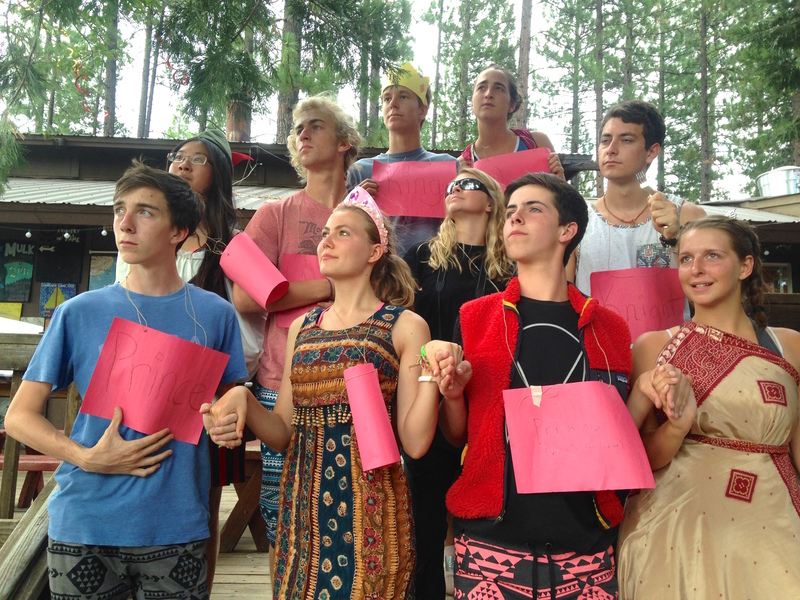 We are a FAMILY at camp and I doubt that will ever change. 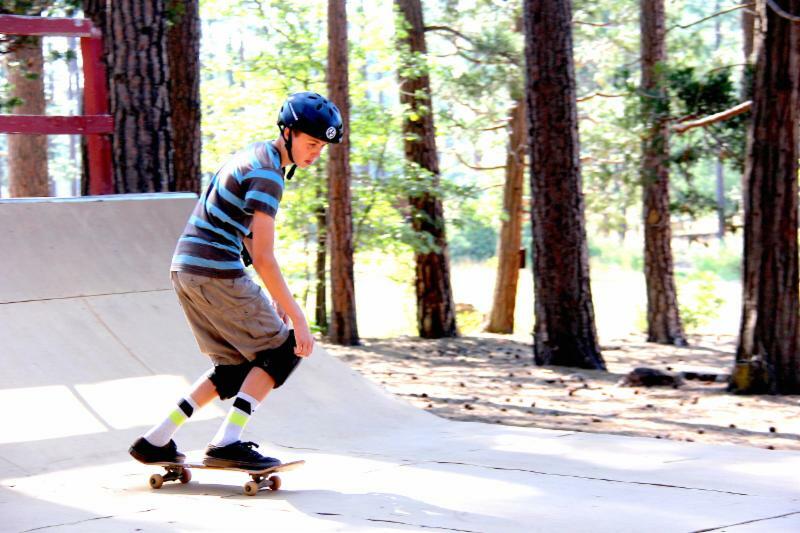 Recognize this sweet boy that taught hundreds of campers how to ride?